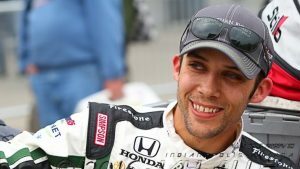 Aussie remembers Bryan Clauson | Talking Speedway, Speedway news from around the world! Speedway has been my most favorite sport ever since I was 16 years old and in that time I have had the real pleasure of watching some of the best dirt track racers .Covering Speedway meetings and writing reports has been my hobby and during this time I have met .watched and been thrilled by many of the best. 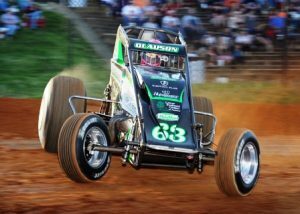 Bryan Clauson, USAC Champion in Midgets and Sprintcars was the one driver that always grabbed my attention and was the one I found myself cheering for. 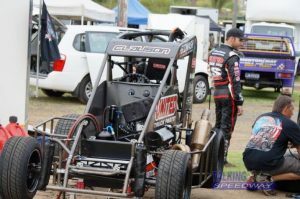 Watching via live streaming from the US or New Zealand or live in Australia there was something very special about BC.I have been reporting on Bryan Clauson’s race exploits for some time and back in 2013 I meet Bryan at the POWRi World Midget show at Lismore Speedway. Wandering around the pits speaking with and photographing the teams I was desperately trying to find an opening to grab Bryan and introduce myself .With drivers meeting, car preparation taking priority finding Bryan on his own was difficult and frankly as the afternoon passed I was becoming a little nervous each time I tried to approach him only for another driver to attract his attention. Clauson was a driver certainly in demand. Later that afternoon my opportunity arrived, Bryan sitting quietly on the rear wheel of the United Truck repairs Esslingler. I looked around, no one in sight, so boldly I approached him with a “good day Bryan “I am from Talking Speedway mind if I have chat. I had hundreds of questions but suddenly I was lost for words .Here I was talking to one of the greatest USAC drivers of all time. We chatted for what seems like hours but in reality it was 5 to 10 minutes .What a guy, warm and generous he made me feel completely at ease. After thanking me for my support he wished me well explaining he had changes to make to racecar, his team arrived immediately and they went to work and I wandered off to explore more and photograph the likes of Christopher Bell, Darren Hagen and Andrew Felker.Unfortunately the night did not go as planned and the Kiwi Brad Mosen won the feature. We have lost many drivers over the times and with each track death we feel such heart break and sadness and we wonder if we will ever get over the pain. While our loss is nothing when compared to the loss the family of these brave and courageous racers have to deal with. As a speedway supporter we can only offer our deepest sympathy and hope their hearts will heal in time. The memories left, the images of Bryan Clasuon at work together with the thousands of tributes on social media place o n record his greatness, generosity to fans and the energy he put into growing and advancing the sport of Speedway open wheel racing. Bryan’s life was Speedway and in death his organs have given life to five people who are blessed and will carry a small part of Bryan with them as they travel through life. 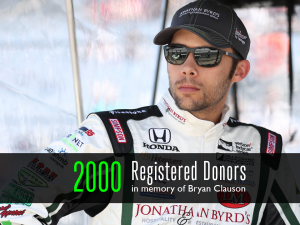 Bryan will be remembered by his racing exploits and also by the donation of his organs. Chasing 200 continues only the goal has changed to saving saves by promoting the benefits of donating your organs so that others may benefits. This entry was posted in All Stars, Midget Speedcars, Powri World Midget Championship, Sprint Cars, The US Report by admin. Bookmark the permalink.